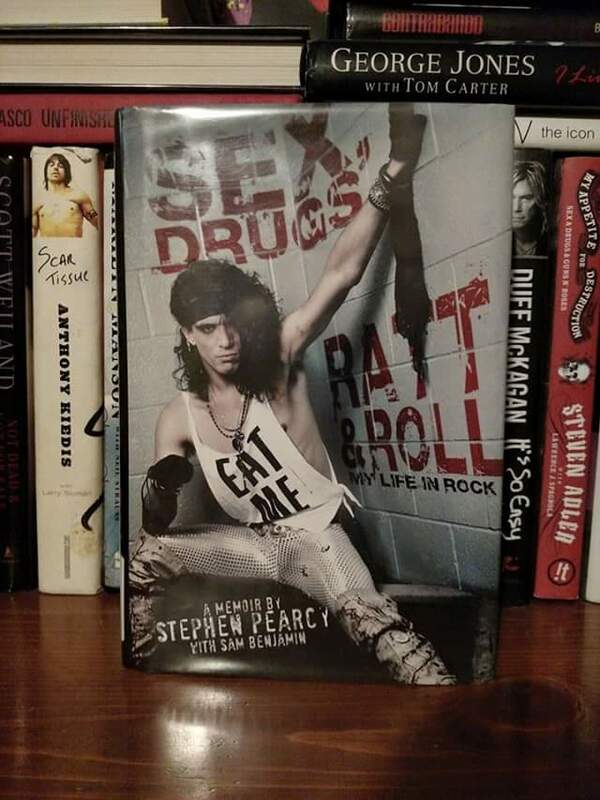 Today i bring you my review of Stephen Pearcy’s autobiography. Lead singer of Mickey Ratt, M Ratt, and finally just Ratt. Well, most of you guys know Ratt from 80s fame. Starting up in the sunset strip in Los Angeles, Ratt became famous very quick and grew big quick with their hit single Round and Round. But this is much more than the story of Ratt. This is the story of Steohen Pearcy, and while a lot of it has to do with his band, is much more than that. Is the story of his heroin use, becoming a father, and finally kicking drugs for good (recently). Of course theres your stories about groupies and all the backstage debauchery that was going on back in those days, and that is all pretty much standard for those bands. Stephen seems like an awesome person and you get the feel that he is just telling you the way it was in a veey raw, unapologetic way. I gotta say, some of his stories had me cracking up!!! And with all the happy moments, there also come sad ones, which was the case when Robbin Crosby died. That was Stephen’s brother and you can see how Robbin’s death changed him. Anyways, awesome and quick book that you cant pass up. 80s stories never get old, and the pictures in this book are pretty awesome too!